Ryan Palmer is one of an increasing number of PGA Tour pros who forgo equipment deals. It could be argued that outside of Tiger Woods' incredible comeback season, the biggest story in the golf world was the rise of the equipment free agent. Once considered an anomaly on Tour, Nike's exit from the hard-good industry in 2016 suddenly allowed some of the biggest names in the sport to weigh their options when it came to the clubs in their bag. Some chose to sign new equipment contracts (Rory McIlroy and Tiger Woods) while others (Brooks Koepka, Tommy Fleetwood, Francesco Molinari and Paul Casey) opted to forgo the guaranteed money and roll the dice without a deal. For Koepka, Molinari and Fleetwood, in particular, equipment free agency paid off this year with two of the three lifting major championship hardware and Koepka moving to No. 1 in the Official World Golf Ranking. In fact, all four majors championship trophies currently reside with players who aren't under contract for full staff deals. What started out as a blip on the radar has turned into a full-blown trend on Tour this year. Of course, there's more to the increase in equipment free agents than Nike no longer having a club and ball presence in the industry. 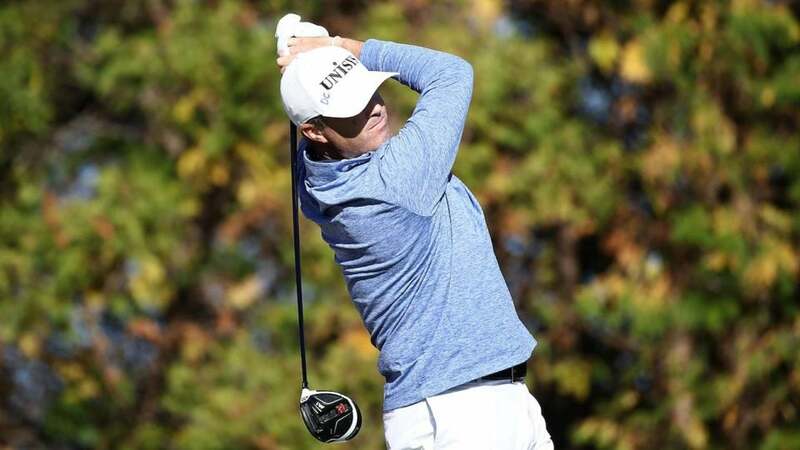 Some players, like three-time Tour winner Ryan Palmer, don't see the appeal of being under contract for every club in the bag, and possibly ball as well, when they can potentially make more money with an optimized, mixed setup geared to their strengths. "Well the problem today is, you’re having to sign the full bag," Palmer told GolfWRX's 'Gear Dive' podcast. "With TaylorMade, you’re having to sign the full staff, the ball. Titleist, full clubs, the ball. Callaway will get you in a driver deal. TaylorMade doesn’t have driver deals out there. Ping is obviously full staff, full clubs. So it’s just, guys, are not wanting to sign away every club in their bag. I mean, for me, I got an Odyssey putter, Vokey wedges, Srixon irons, TaylorMade woods." Palmer, who used to be on staff with TaylorMade, chose the free agent route a few years ago and signed non-equipment sponsor deals with, among others, United Rentals and RBC. Both had prominent spots on his staff bag last season. The rest of his bag is mix of different equipment brands, including a TaylorMade 2016 M1 driver and Srixon 785 irons that recently replaced a nine-year-old set of Titleist 710 AP2's. For Palmer, having the ability to play the equipment he wants far outweighs the constraints typically associated with guaranteed equipment staff money. Ryan Palmer replaced his nine-year-old Titleist 710 AP2 irons with Srixon's 785. Palmer also highlighted another reason why many players are reconsidering staff deals: With the rise in purses on the PGA Tour, equipment dollars are no longer needed to make a living in professional golf. Most deals require players to carry at least 11 clubs, with some insisting on 13 or all 14, including the golf ball, making it difficult to tinker during the course of a season. "Guys don’t realize, you sign a $400,000 contract with whoever, go finish top 10 twice, and you’ve made it, you’ve made that money," he said. "So that’s my approach. Mike Chisholm, my manager, close personal friend of mine first, but, we talk about it all the time. And, to me, and he knows, there’s more money to be won on the golf course then there is off the golf course when it comes to equipment."